The original milk, livestock, wool, and cropping trading statement are actuals only. The new milk trading statement is the only report that allows for variance reporting. 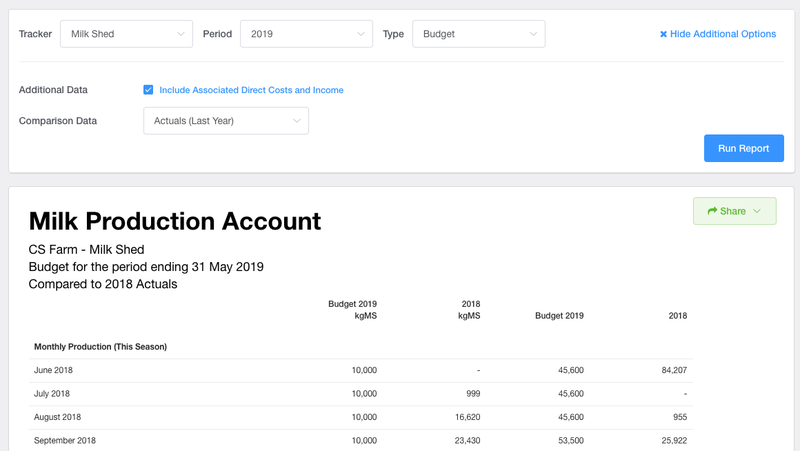 You can also select to include associated direct income and costs in the report by clicking on the Additional options button. 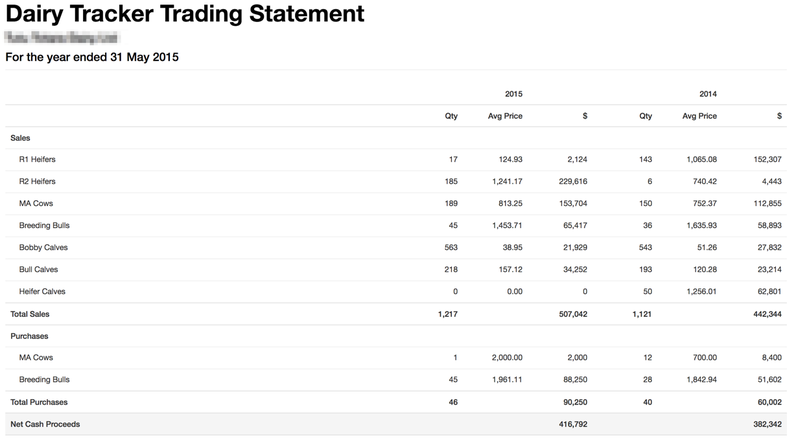 In the new milk trading statement you're able to generate the report for your budgets / actuals / actuals + forecasts and toggle comparison data to check how you're tracking throughout your financial year.